Known for its beautiful old city, gorgeous coastline and mountains, Antalya is one of the best places to spend the summer in Turkey. Of course staying at a lovely boutique hotel (preferably with a good view) is an essential during your visit, so make sure to consult our selection of the best. If you’re looking to immerse yourself in the Mediterranean rural life, then be sure to make a reservation at Hoyran Wedre. A nearby village that has remained unchanged through the centuries, the ruins of a 2500-year ancient city, and oak trees that are around 1000 years old are all a part of the hotel’s carefully constructed estate that is utterly in harmony with nature. Located amid the mountains, the coast is about a half an hour hike, and utter serenity is an absolute guarantee. This stone house overlooking the dark blue of the sea is a summer haven complete with lush bougainvillea flowers, natural wooden furniture, and colorful handicraft touches. Fidanka‘s 11 private rooms overlook the swimming pool and the expansive view, while a short 300-meter walk takes you right to the clear blue sea. Along a beautiful road that leads through the forest, the Olympos Mountain Lodge appears under the pine and cedar trees. 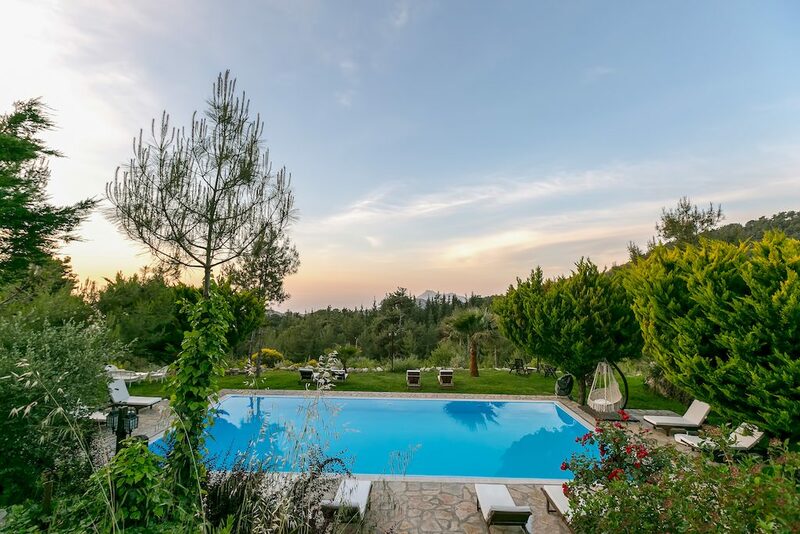 Built by the lawyer and architect couple who own the hotel, you’ll find a lot of rustic charm mixed with modern details that make Olympos both at one with its natural surroundings whilst also undeniably stylish. Enjoy the beautiful view from bed, go for a dip in the pool, or hike along the Lycian trail, which is conveniently nearby. If you’re very minimal when it comes to your accommodation preferences, then the very laid back and simultaneously beautiful Mehtap Pansiyon will be your new personal favorite in Antalya. Located in the lovely village of Kale/Simena, the small hotel overlooks the sea and the rooftops as well as the famous Sunken Tomb. The hotel restaurant’s wooden terrace really makes the most of the view and flowers seem to be blooming everywhere you look. 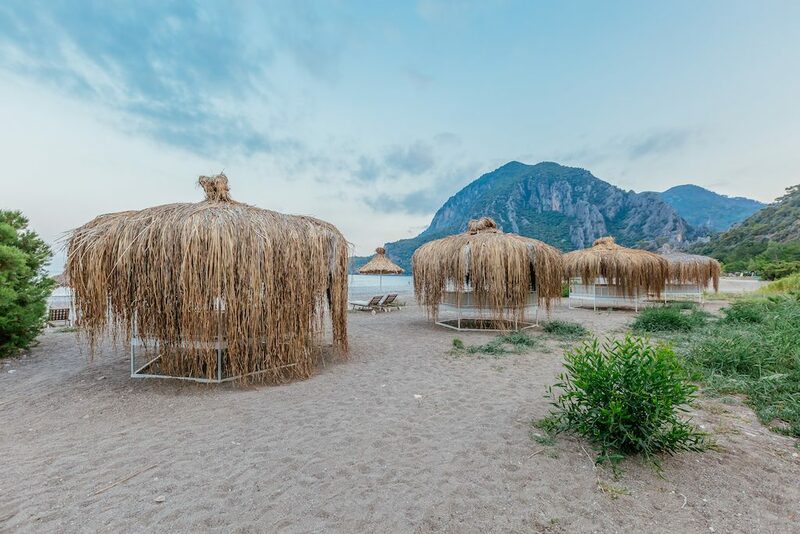 If you’re more of a beach bum, then Olympos Lodge’s proximity to the beach in Antalya’s secluded Çıralı coast is the perfect option. A bit more elegant in terms of décor, the hotel’s garden, private beach, and thirteen bungalows all adhere to the same relaxing themes. Take a dip in the sea, have a nap in one of the hammocks, and eat your dinner under the eucalyptus trees. 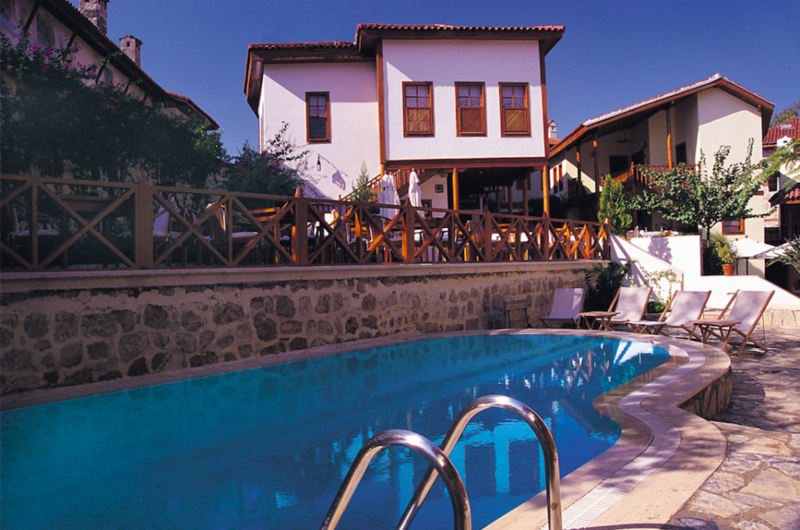 Located within a reconstructed Ottoman pasha residence, an air of lavish grandeur is still present in Tekeli Konakları, a beautiful boutique hotel near Antalya city’s Old Harbor. Eight individually designed rooms make use of the silence of a side street and the hotel’s enclosed courtyard. 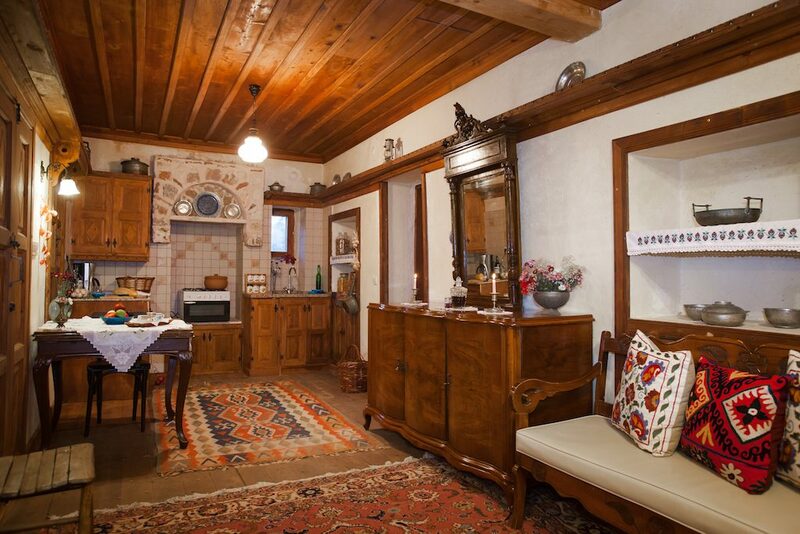 You’ll find beautiful Turkish décor touches such as Kütahya ceramics, naturally dyed fabrics, and painted ceilings. The fact that the structure is made from cedar wood lends an ever-present sweet scent, while the hotel’s restaurant’s classic Turkish cuisine has a delicious aroma of its own.